Modern life is marked by striving and stresses, gadgets a-buzzing, and a never-ending to-do list. For couples with young kids especially, it can feel like you’re trying to juggle 10 balls while changing a dirty diaper at the same time. What can we do to avoid burnout and losing the spark in our marriages? Apart from taking regular date nights to catch up with each other, a yearly couple retreat can do wonders for modern marriages. Here are some reasons why. It’s easy to lose touch with our spouse amidst the humdrum of daily life. Work and family demands can drain our energy and affect the quality of our marriage relationship. Taking time to draw close to each other – emotionally, mentally and physically – is an intentional practice. The challenge is to be mindful about the time you spend together – to set your phones aside or book a resort that does not have free Wifi – so that you can be present with each other. A couple holiday gives you and your mate ample opportunities to discover new and exciting places, breath-taking scenery, and tuck into delicious food. In the process, you may learn something new about your partner. Naturally, physical intimacy is part of the whole package. 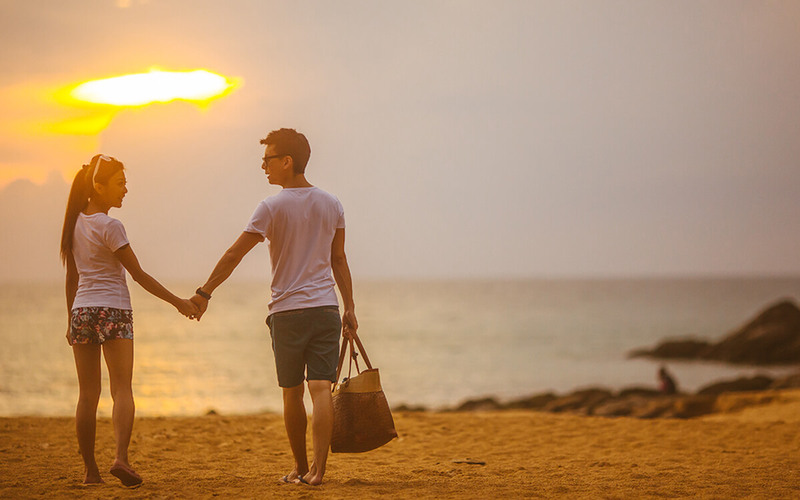 Without work or family responsibilities standing in the way, don’t be surprised if you feel like honeymooners all over again. We’ve all had times when we’ve shelved a discussion with our spouse due to the lack of time or mental energy to deal with the problem. If there is an issue that you’ve been hoping to address, a retreat might be an opportune time to raise it with your spouse. Just make sure you give each other a heads-up, and agree beforehand to take a break if things get too heated. After years of marriage and child-rearing, it can be easy to forget the person with whom you fell in love many years ago. Take this time to take off the critical lenses that you’ve been using to view your spouse, and re-focus on the good things. Maybe even put together a list of 10 things that you appreciate most about each other, and then share it out loud. Maybe even put together a list of 10 things that you appreciate most about each other, and then share it out loud. My husband and I make it a point to renew our vows every year during our annual retreat, so you may want to consider making this a part of your itinerary too. Too often, we assume that our spouse knows exactly what we need even without us asking. Well, a relaxed vacation is the perfect time to communicate to each other (without blame or anger) what’s on your wish list. It could be that you wish for just 15 minutes of alone time upon reaching home after work. Or that you hope he’d give you a listening ear for 10 minutes before going to bed. Whatever desire it may be, create a safe space for each other to share it. And be committed to do whatever it takes to meet that need. In the midst of tackling our daily responsibilities and tasks, we often lose sight of the big picture. What are our goals as a family? How do we work towards these goals? Which activities do we take on, and which do we say no to? Time is a precious resource, and we want to invest it on things that matter. In order to know what matters, it’s good to take a step back to evaluate our family’s purpose, and think of ideas on how to achieve that shared vision. Marriage is a life-long journey – and we’re in it for the long haul. Just as every organisation needs to do a regular stock-take and review of the business, so it is with marriage. With so many benefits that comes with a couple retreat, what are you waiting for? Go ahead, block out your calendars and start planning for your marriage retreat now!